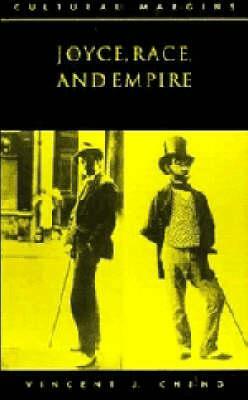 In this first full-length study of race and colonialism in the works of James Joyce, Vincent J. Cheng argues that Joyce wrote insistently from the perspective of a colonial subject of an oppressive empire, and that Joyce's representations of 'race' in its relationship to imperialism constitute a trenchant and significant political commentary, not only on British imperialism in Ireland, but on colonial discourses and imperial ideologies in general. Exploring the interdisciplinary space afforded by postcolonial theory, minority discourse, and cultural studies, and articulating his own cross-cultural perspective on racial and cultural liminality, Professor Cheng offers a ground-breaking study of the century's most internationally influential fiction writer, and of his suggestive and powerful representations of the cultural dynamics of race, power, and empire. Foreword Derek Attridge; Preface; Acknowledgements; 1. Introduction; 2. Catching the conscience of a race; Part I. Dubliners: Colonialist Symptomatics: 3. Dubliners: the exoticized and Orientalised other; 4. The gratefully oppressed: Joyce's Dubliners; 5. Empire and patriarchy in The Dead; Part II. Ulysses: Imagining Selves and Nations: 6. Imagining selves; 7. Imagining nations; 8. Imagining futures: nations, narratives, selves; Part III. Finnegan's Wake: 9. White horse, dark horse: Joyce's allhorse of another color; 10. The general and the sepoy: imperialism and power in the Museyroom. 11. Conclusion.